February 1990: External inspection reveals the building to be unused and deteriorating, though it remains wind and watertight. 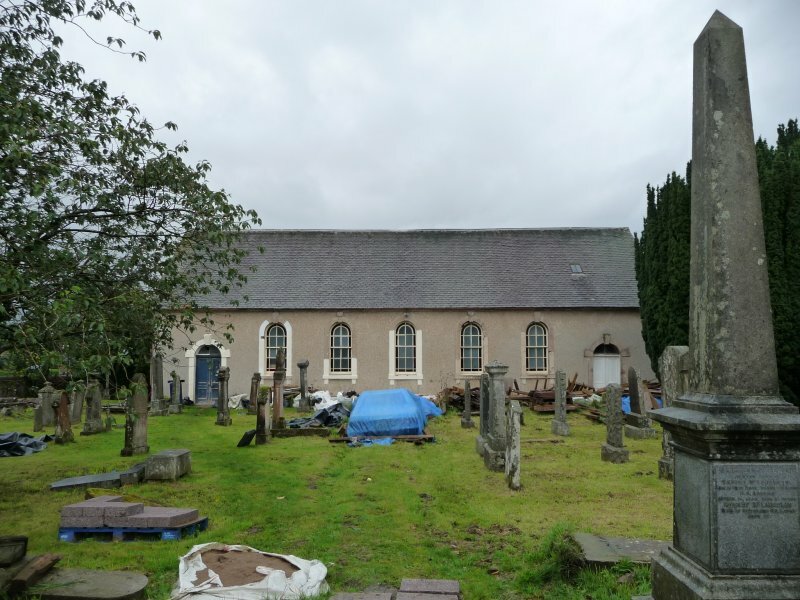 SCT understands that discussions on the church's future are continuing, although it is reported that much of the local congregation would be opposed to selling the building for an alternative use. A surveyor's report has been commissioned. The church closed in 1970. March 1995: External inspection reveals the north wall to be leaning outwards slightly. 1998: SCT understands that discussions with a potential purchaser have fallen through. February 2001: SCT receives information that the congregation is presently considering the church's future, and is open to approaches. External inspection reveals no change to the building's fabric. 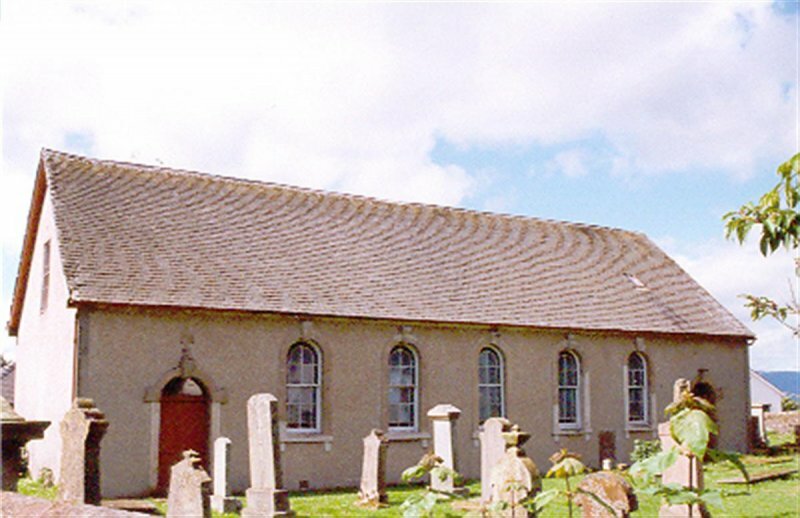 April 2002: The church is sold to a private individual. 19 March 2003: The Herald Property Supplement reports that the church is once more for sale. 30 April 2003: The Herald carries an advertisement for the property. 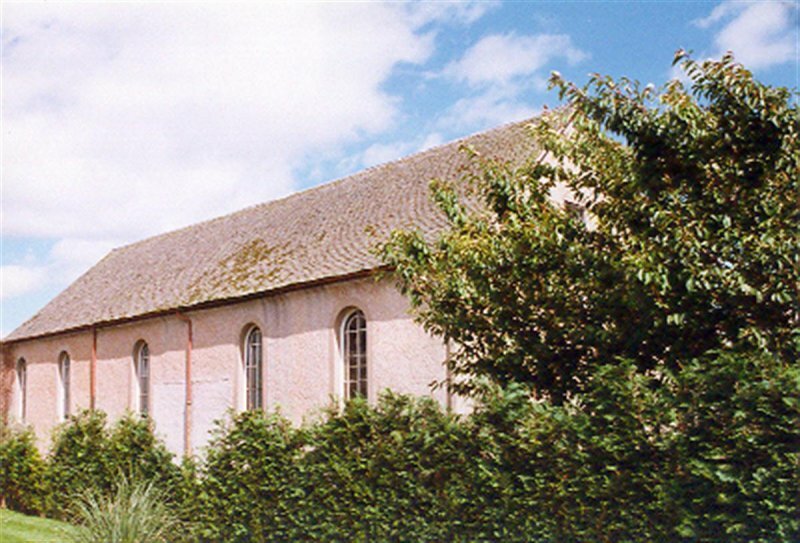 April 2004: Historic Scotland reports that Listed Building Consent is being sought for conversion into a house. August 2007: LPA contacts SCT to advise that this property has been saved. June 2009: External inspection suggests that the building is vacant. There is a broken window to the north-west gable. 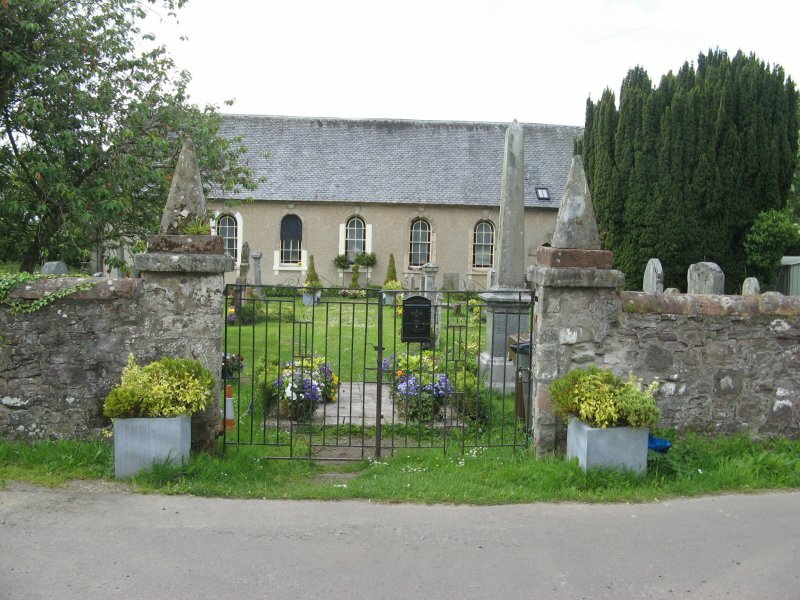 The surrounding churchyard is largely overgrown and the boundary walls are in poor condition. Upon discussion with the local planner, set back to 'At Risk'. 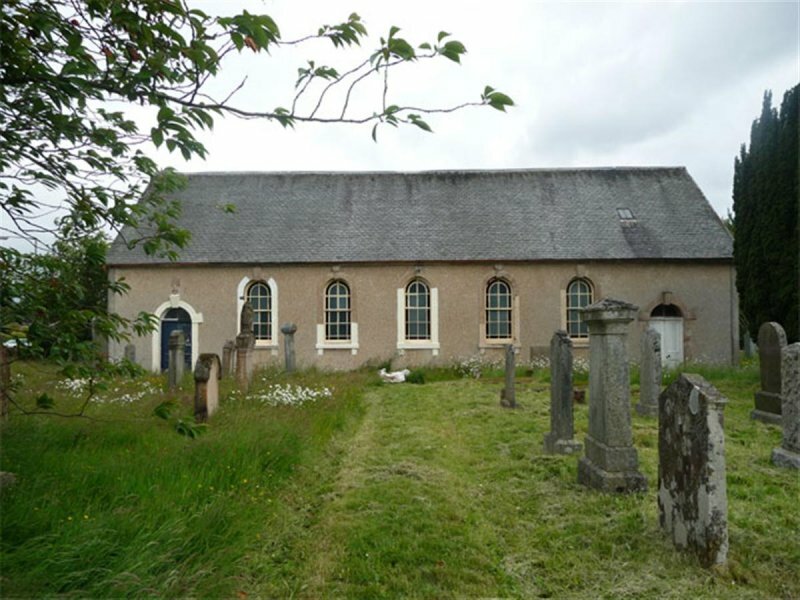 May 2010: SCT is contacted by the new owner of the former church. 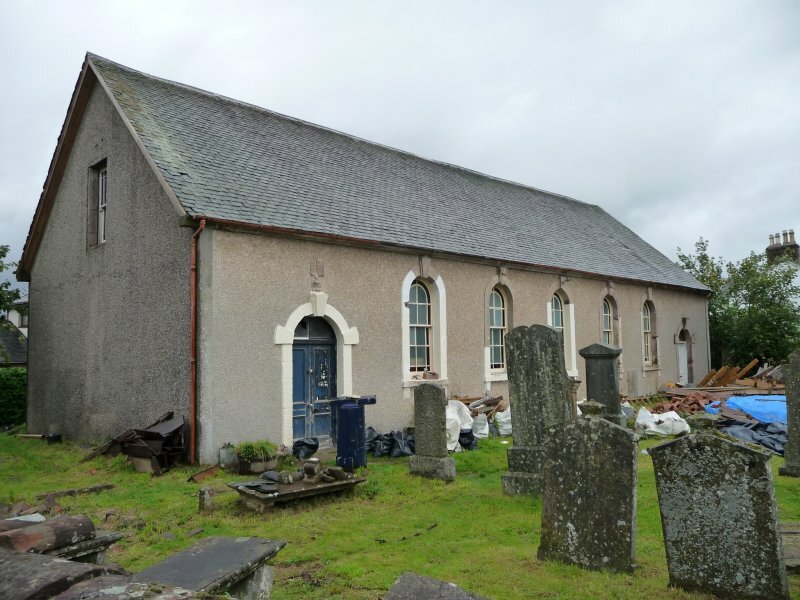 Following recent purchase, they intend to sympathetically refurbish the building as a dwelling house. The building is sound and will hopefully stand proud within the community when finished. The graveyard is also intended to be maintained with a long term view to bringing the graveyard back to its former good condition. 17 September 2012: External inspection finds no significant change from the previous site visit. Material at the site suggest some work may have taken place internally or is planned to take place. 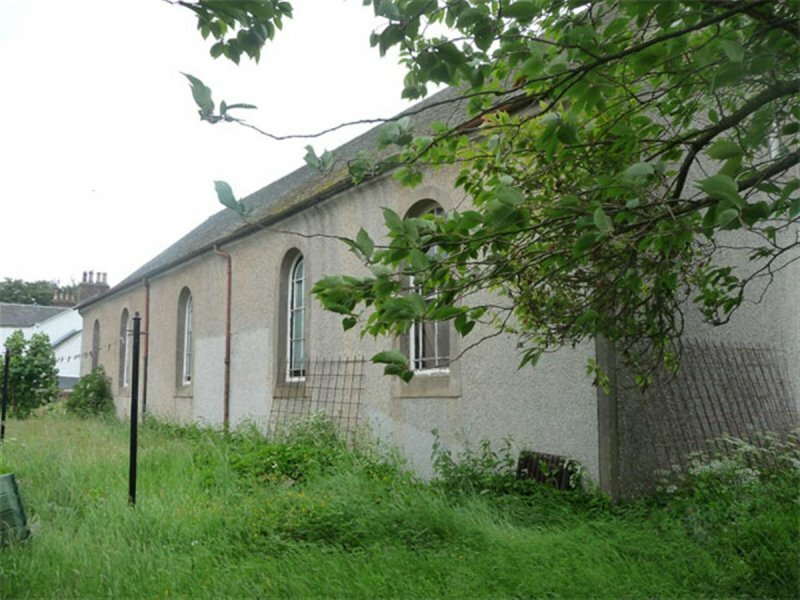 A Building Warrant for conversion of the church into a dwelling was conditionally approved Sept 2011 ref: 11/00364/CONV. 23 June 2015: External inspection finds the building remains in much the same condition as seen previously. An application to extend the validity of previous building warrants for the conversion of the building to a dwelling was approved July 2015 ref:11/00364/CONV. Hay (1957); Stirlingshire: An Inventory of the Ancient Monuments (1963), pp169-170.